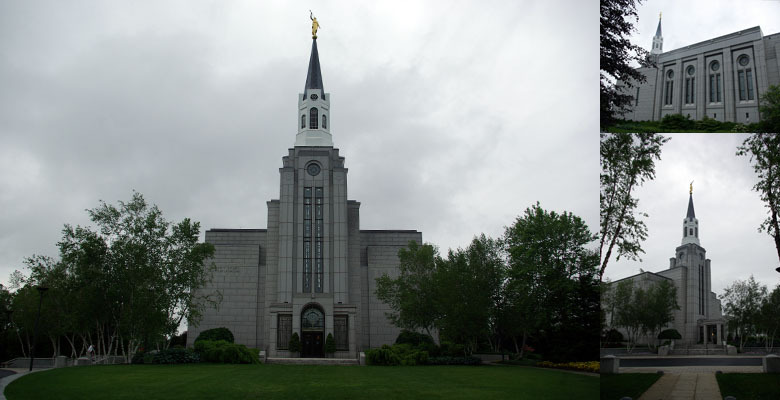 The base of the Boston Massachusetts Temple is a rough hewn stone with finished edges. this seems typical of colonial era buildings, where the foundation was not going to be prominent but still needed a good fit. The difference being that on the temple the finished edges have been polished to a shine. above this are fine cut blocks, but with a rough finish. This gives way near the top to a polished stone of the same size and shape. The tower starts with the medium finish stone, and goes to polish stone for a longer period. Additionally the tower pillars are increasingly more intricate in their carvings as you go higher. This over all gives the feeling that the temple is in progress, growing out of the mountain.